It’s like a week-long wedding celebration, only better, because you can swap venues at will – as soon as you tire of one crowd, you can move on to another. And everyone gets to wear the beautiful dress, not just the bride! 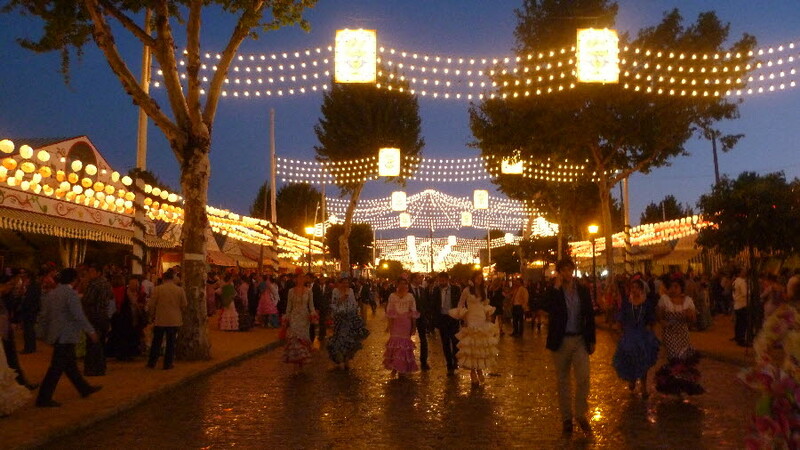 It’s extraordinary how Seville society throws itself into this annual event – the Feria de Abril – with unrestrained excitement and glee. The venues are hundreds of individual stripy tents called casetas, laid out in streets which are each named after a Sevillian bullfighter. 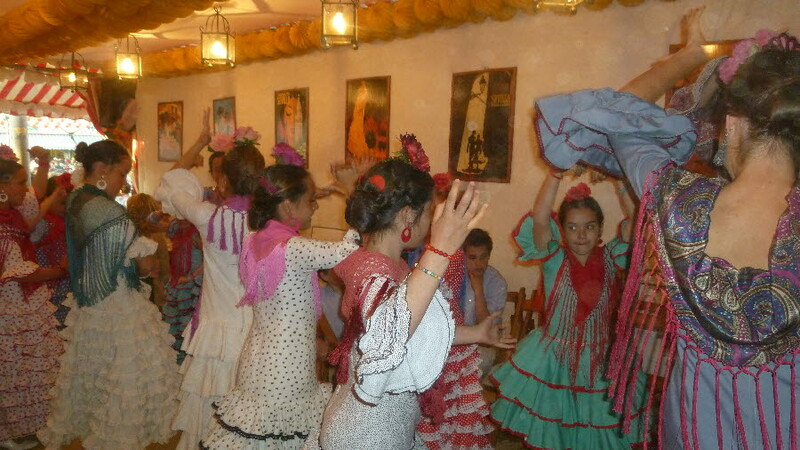 The casetas, owned by families or groups of friends, are decorated as a home from home; with net curtains, paintings and mirrors on the walls and traditional wooden furniture painted with flowers and wildlife. At the back, through a doorway, you find a less adorned space with a full-length bar serving drinks and tapas – here the men tend to hang out, away from all the frills. 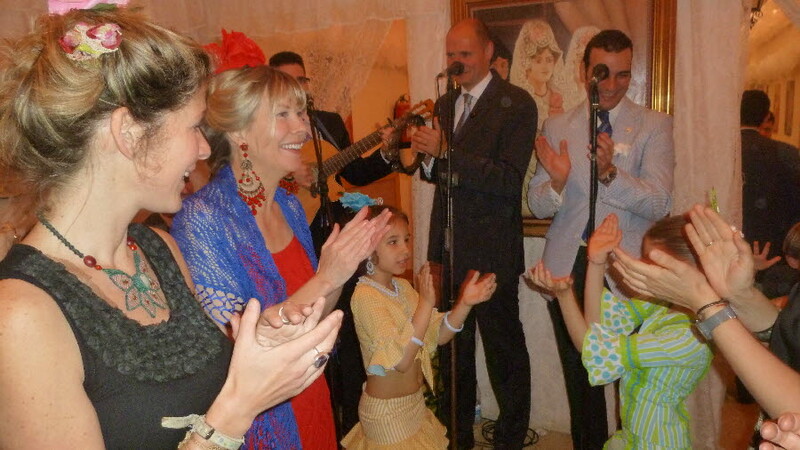 Everyone is dressed up, from the tiniest tots, and the little girls look wonderful in their miniature flamenco dresses – but I wasn’t sure about it for myself. 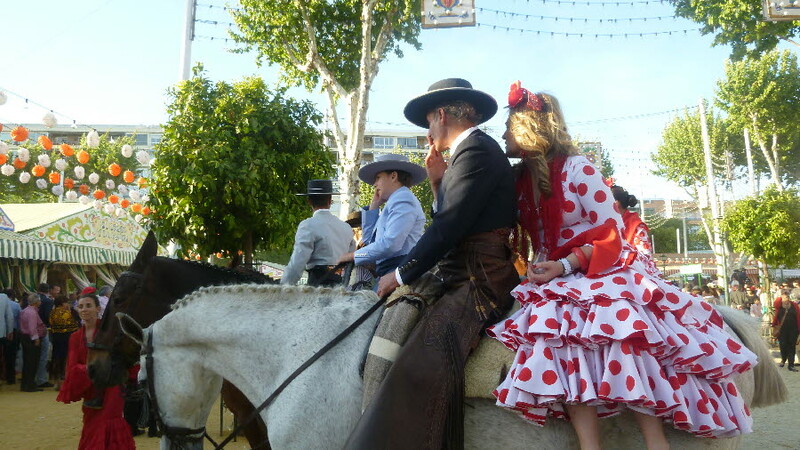 I thought I’d feel a bit foolish and out of place in the Spanish costume: as a pale-faced blonde I’m an obvious ‘guiri’ – a foreigner who stands out like a sore thumb. I spent one day in normal clothes and the second day dared to wear a beautiful red flamenco dress. It felt fabulous! 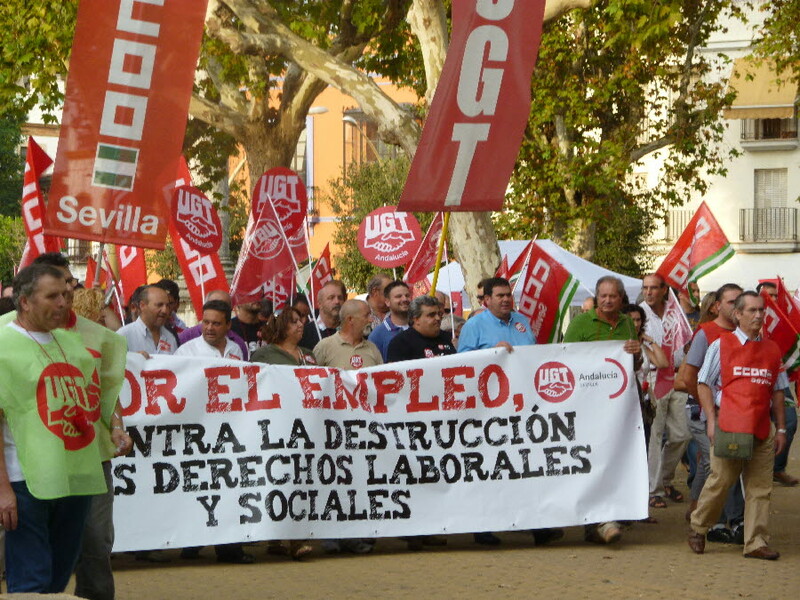 And the Sevillians were very kind and pleased I was joining in, rather than scornful as I’d feared. 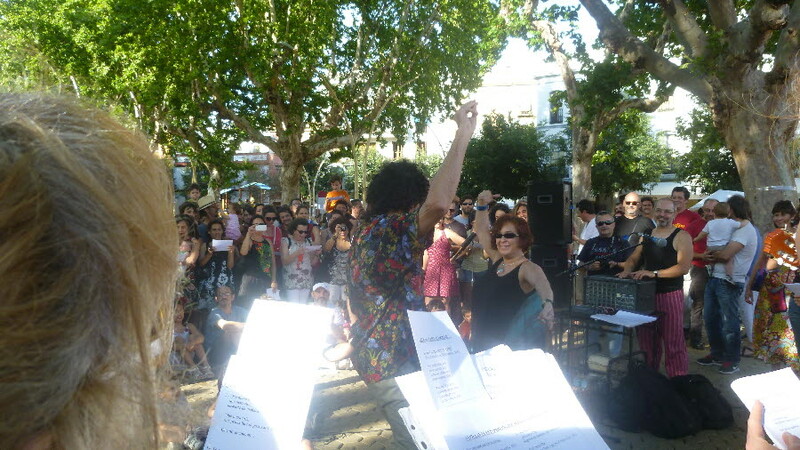 We were very lucky to have been invited to a friend’s caseta and that was our passport to several others. 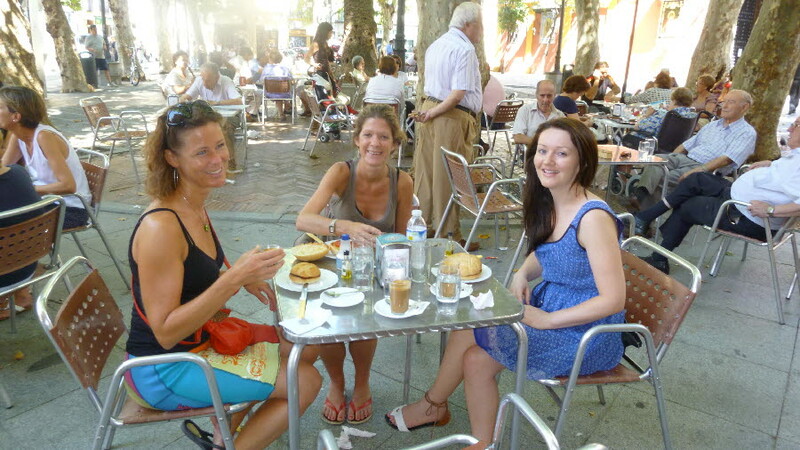 The very generous, warm Sevillian people we met there insisted we accompany them to their own casetas and we ended up doing the caseta equivalent of a pub crawl around the Feria. 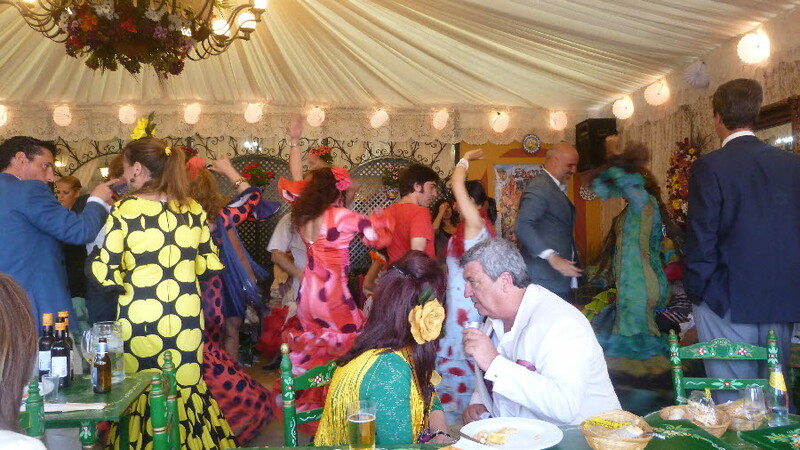 We were plied with drink – mainly rebujitos, a mix of Manzanilla sherry and lemonade, but also beer, mojitos or wine – and food in the form of a wide variety of delicious tapas. Embarrassingly, no one would let us pay. 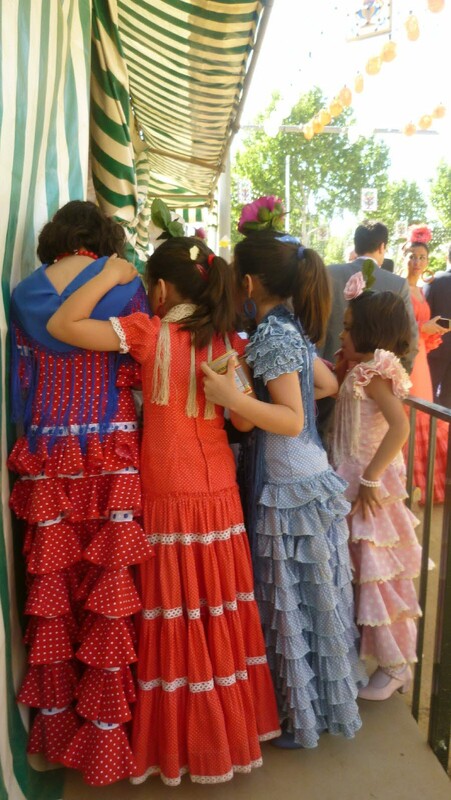 Dancing Sevillanas - the little girls were far better than me! 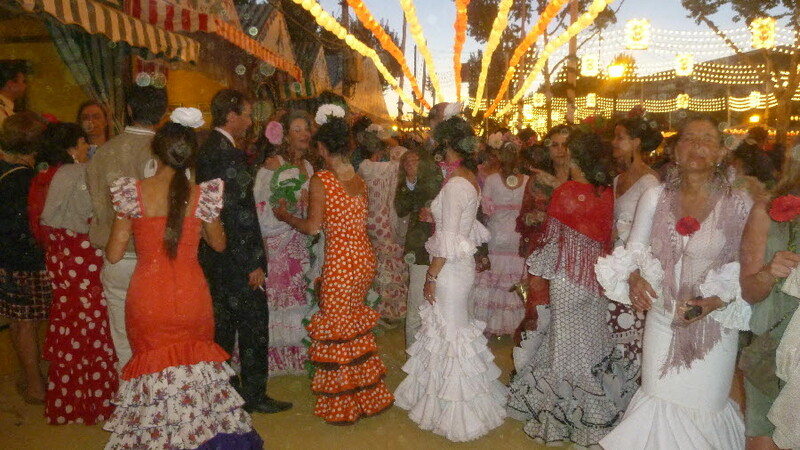 People complain that Feria isn’t a place for outsiders and it’s true that the main action takes place in the hundreds of little private parties where locals meet their friends and families and exchange hospitality. Although the fronts of the casetas are open, so you can get a tantalising glimpse of what’s going on inside (heaven for nosey parkers), there’s usually a security guard standing at the entrance so you need to be able to mention the name of someone who invited you. I have been known to blag my way in, but you do need quite a bit of chutzpah to run the gauntlet. There are large public casetas run by the municipality and political parties, which are open to everyone, but to be honest they are pretty soulless, huge tents with catering tables and plastic chairs and not a very attractive place to hang out. Even as a tourist though, it’s well worth going to see, especially during the day with all of the horses and carriages and beautiful dresses in the streets. 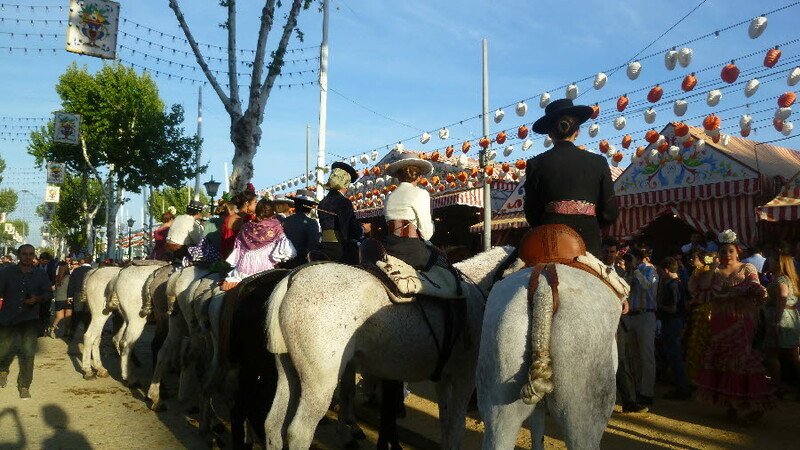 The horses have to leave the Feria grounds by 8pm and then a clean-up operation takes place, with giant hose-pipes, so that the streets are waterlogged with liquidised horse manure! You have to tiptoe around for a while, lifting the heavy skirts of your flamenco dress above the ordure, reminding us of the roots of this extraordinary event.